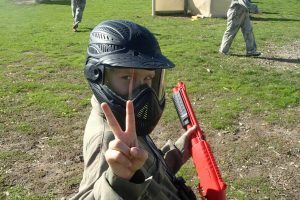 Paintballing masks, or goggles as they are also referred to, are the most important piece of equipment you will receive on your skirmish adventure. Paintballs can travel at speeds of up to 300 feet per second and injuries only occur when the proper protection is not issued. That’s why you can rest assured that when you visit an AUPBA-approved paintball centre, that you will be issued with paintball-specific equipment. All centres on our approved list have passed a stringent set of criteria to ensure the safety of all players. There are various models in use throughout Australia, however at a minimum you will be issued with a goggle that covers your eyes and face. Just as paintball game scenarios have improved from playing behind hay bales and wooden pallets to the now very impressive movie-set props you’ll find at some centres, the paintball goggle has also improved, with a range of paintball centres offering the safer full head protection goggle system. On the day of your event be sure to listen to the safety briefing and follow the instructions of the staff. 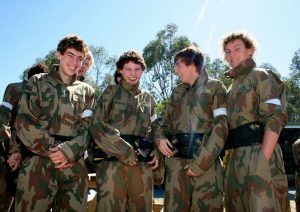 By following the rules everyone will have a more enjoyable day paintballing.